What began 11 years ago as a food truck operation in Austin, TX, has since exploded to more than fifty locations across Texas, Oklahoma and Colorado. Torchy's Tacos recently opened the doors to its 50th location at Market at Springwoods Village in sunny Spring, TX. On October 10, more than 100 people stood in line awaiting a chance to win free tacos for a year. Families from the surrounding community mingled with seniors and businessmen and women. "We're so pleased to be part of this milestone event for Torchy's Tacos," said Abe Pacetti, Vice Presidents of Investments for Regency Centers. "Best-in-class fast-casual operators act as junior anchors in many of our developments — landing Torchy's enabled us to secure several other highly sought after restaurants. Thanks to Torchy's early commitment, The Market at Springwoods Village is now considered north Harris county's restaurant destination." The bustling, fast-casual taco shop is known for its self-proclaimed "Damn Good Tacos" — and with playful names like Trailer Park (fried chicken, green chilies, lettuce, pico de gallo, cheese and poblano pepper sauce on a flour tortilla) and Tipsy Chick (fajita chicken, fresh spinach, roasted corn, chipotle sauce, green chilies and cheese with a side of bourbon marmalade on a flour tortilla) taco-enthusiasts can't go wrong. There's even an assortment of breakfast tacos for the early risers. 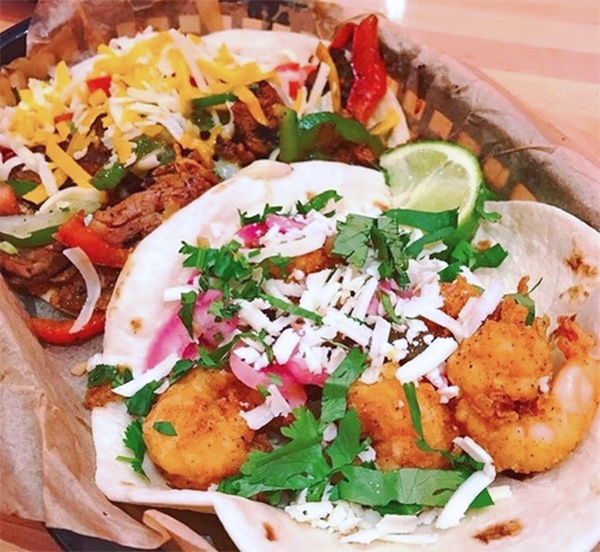 With a taco of the month offering, Torchy's keeps hungry fans excited. The restaurant is family-friendly and the wee ones are certain to love the Lil Nookies — deep-fried chocolate chip cookie dough pieces topped with a sprinkle of powdered sugar and cherries. 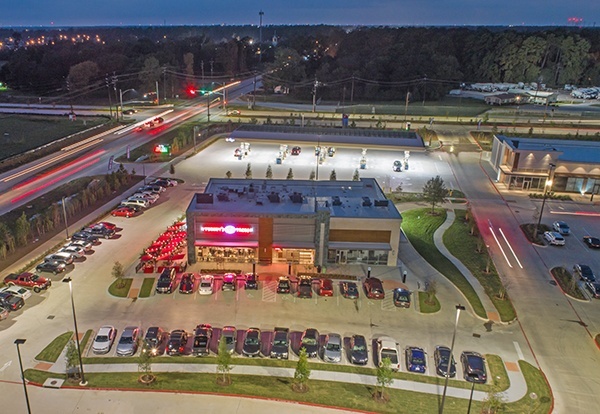 "Torchy's is an extremely popular restaurant that creates a lot of buzz in the communities they’re located in," said Rachel Herman, property manager for The Market at Springwoods Village. 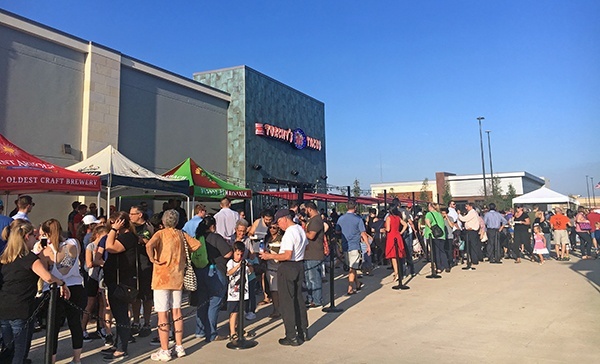 "It was awesome to see more than 500 people from across the community come together at our shopping center for Torchy’s grand opening. 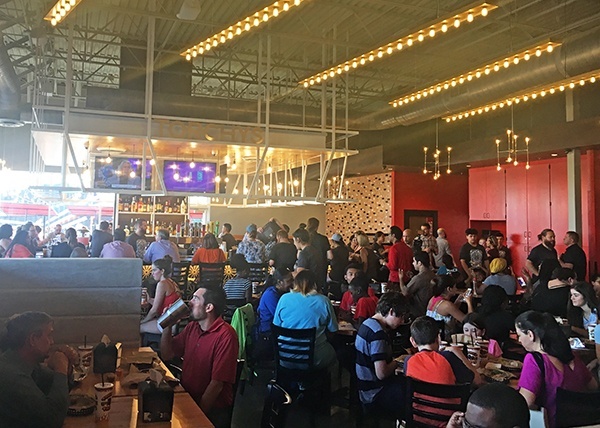 The food is delicious, and Torchy's has a fantastic customer experience with a very modern buildout and patio seating for customers to enjoy." To follow the activity at The Market at Springwoods Village, like Springwoods Village on Facebook.